I know how stressful this time can be for you all and you will all have been put under pressure to get the grades you need. I was lucky in the fact that I had parents who didn't pile the pressure on but they made sure I knew how important doing well was. I hope some of my tips and tricks help you out with your revision. I know this is easier said than done, but if you don't get organised and plan your revision you will just get distracted and overwhelmed. I like to make a revision time table so that I know I have covered everything. I usually make it in excel or just make a table in word. I try and balance it so I don't do 4 hours of one subject and 1 of another and I also always have a cut off point around 8.00pm because I know that's when my brain gets tired and nothing I revise would go in. I colour code the timetable and then when I write lists on what I need to do I use the same colour code. Make sure you have regular but short breaks too because you will loose your concentration if you don't. 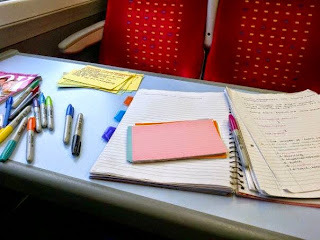 I find it helpful to buy a ring binder and a notebook for each subject so I know which subject is which and If I use cue cards to revise I try and match the colours to my colour coding from before. I write everything down in coloured pens as it makes it more fun to read and also helps you organised if you use your colour code. 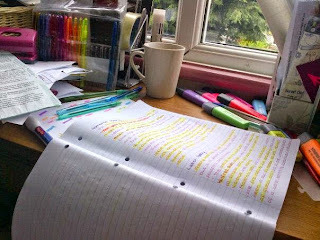 I know this sounds pretty obvious but I honestly find that writing all my notes out again helps me when revising. I like to re-read what I've written down throughout the year and then write it out again in bullet point form so that it refreshes my memory. I think this is a great way to stop you from putting on a TV programme and then getting totally distracted and then not doing your revision. I like to listen to radio stations (Radio one is my favourite) because they are constant and I don't have to keep choosing songs to play. A lot of my teachers also said that classical music is a great thing to play in the background whilst your revising. I know this is extremely hard and I won't lie I used to procrastinate a lot, but try and use a website blocker to stop you from going on social media sites and turn your phone off. Work in a calm environment with no distractions. 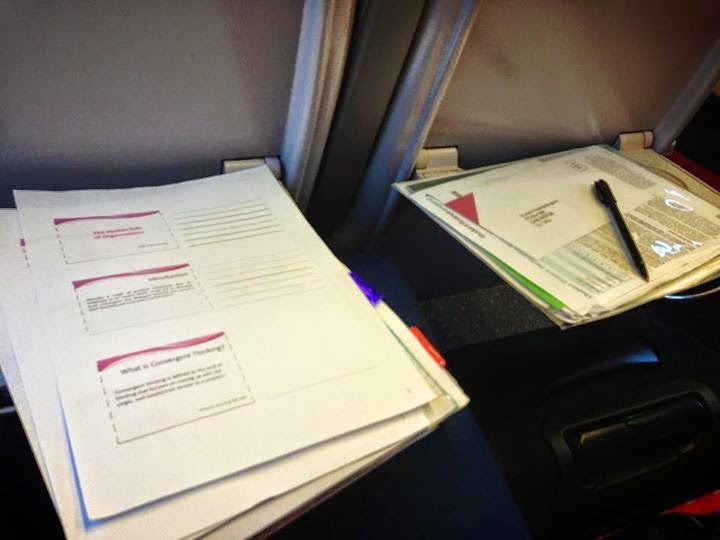 I like to revise on my own by re-writing my notes but sometimes I do find it useful to revise with others - just make sure you balance it out because if you always revise with friends then you can get distracted more easily and then therefore you do less revision. They are very bad ideas. There is basically no point in doing them because you get so tired and you loose concentration and no information is being processed. It's much better to get some sleep and get an early night and get up earlier, seize the day and get some revision done in the morning. Your brain will work a lot better after a good nights sleep. I've made the mistake in the past where I've left my work to the last minute and it only makes you panic and get stressed (not to mention you won't be handing in your best work). Try and plan your revision/work load in advance so that you can allow enough time for each subject as well as time to concentrate on areas that need more work. Easier said than done, but don't work your self up and get stressed out. If you plan ahead and stick to your timetable then you will be ok. You can only do your best so don't put too much pressure on yourself. I find that once I've revised a subject for a couple of weeks and I test myself and I am getting things right - I treat myself. Whether it's a night out with the girls, a chocolate bar or simply a night in watching a movie it's good to reward yourself for the hard work you're putting in. I've done a few exams throughout my time at school and uni so I know how you are all feeling. On the day of your exam I find it best not to constantly re-read your notes (none of it will go in now if it hasn't already), drink lots of water and eat a good breakfast. Take your time, don't rush and try to relax as much as you can. I find that completing the questions I can do first and going back to the ones I can't at the end is easier for me - but remember to always fill in every answer because even if you're guessing, you've got a chance of earning a mark. When it comes to your deadlines just be prepared a day early, make sure you have everything organised the night before you go to bed and you will feel relieved when you wake up and you just have to pick up your assignment and hand it in. Also proof read over and over and get others to proof read too.